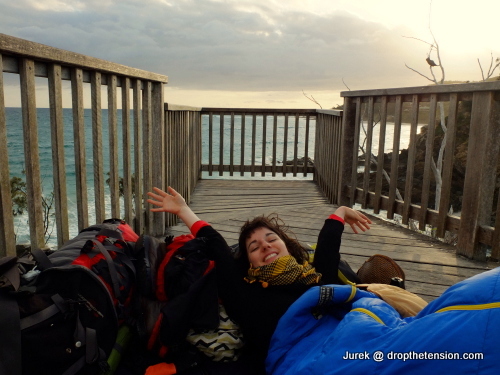 Overland journey Archives • Drop the tension! Earlier this year, Wendy was invited to speak about our conscious overland journey between Melbourne(AUS) and Katowice(PL) at the Bratislava PechaKucha Night Volume 37. For those of you not familiar, PechaKucha is a presentation format originating from Japan, that is now popular around the world. It’s simple, yet challenging: 20 photos x 20 seconds. Definitely a tight schedule to summarise over a year on the road! The evening was part of the [fjúžn] festival, promoting and celebrating a multicultural Slovakia. Wendy’s speech focused on a basic question travellers should ask themselves when coming back from a trip: How should we speak about our journeys? 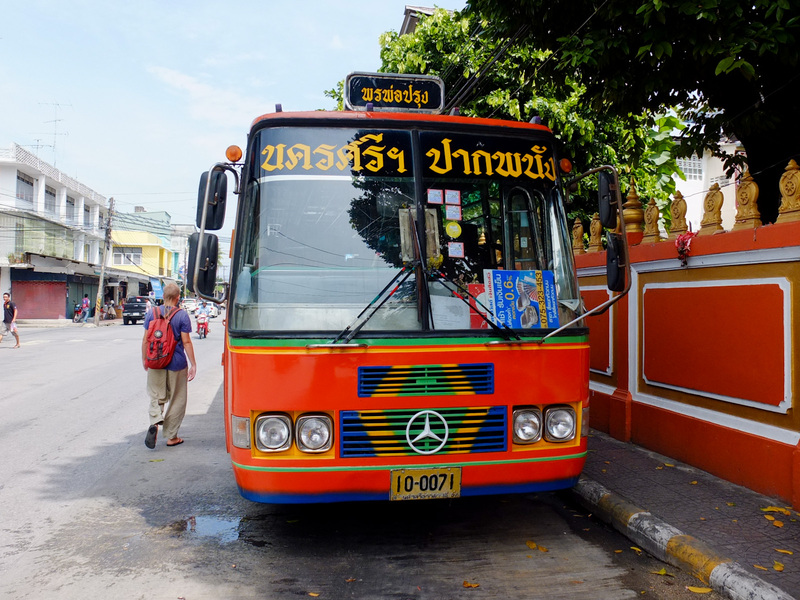 Travel stories often speak of exotic customs, bizarre foods or insane adventures. But do these stories build an accurate image of the place we visited? Don’t we, in stressing the differences, forget that the places we saw and people we met share much in common with ourselves and our own communities? Don’t we, in telling our stories in this way, unwillingly perpetuate stereotypes about how much people around the world differ from us? Is there another way to speak consciously about our travel experiences? Enjoy the video from Wendy’s presentation! We are is delighted to announce two upcoming events we’ve been planning for the short time we will spend in Melbourne! We would like to ask you a big favour? Can you please share these events in your networks, inviting friends who might be interested in attending them? The first one will touch on a place which has captured our attention the most during our overland trip from Melbourne to Poland — Palm Island. 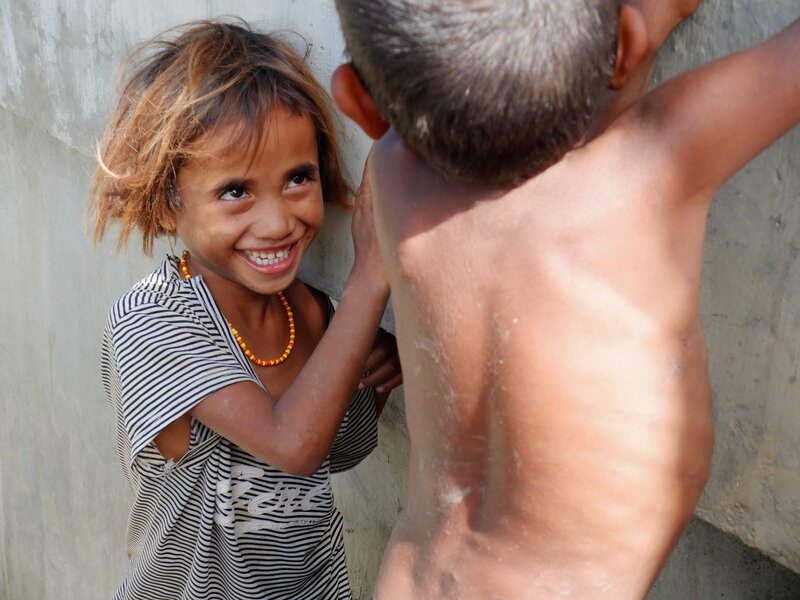 During the second event we will try to share what we found to be one of the most important social phenomenons we encountered while travelling — the impact people make while visiting distant places. We had the pleasure of recording our first podcast! During our overland&sea travel from Australia to Europe we had a chance to shortly speak on radio and give a couple of interviews for local newspapers, but this is the first time we had an opportunity to share our ideas about dropping the tension and following your passion in a proper podcast for the California – based Learn Educate Discover! A week on the train. 8 time zones. 9288 kilometres – a quarter of the Globe. Endless forests and swamps, wooden villages, train stations alike magnificent palaces surrounded by decaying heritage of the once mighty Soviet Union. 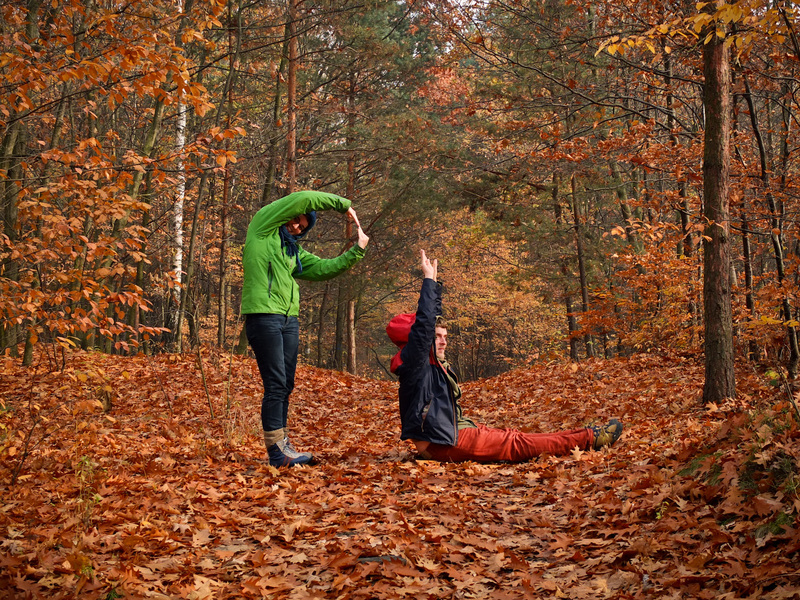 Friendly, hospitable, spontaneous and from a foreigner’s point of view – positively crazy people. The richness of Russia, the contrasts between the wealthy and the poor, modern and old, clean and muddy, silver watches and gold teeth. The heart of Eastern Europe with Moscow and other big, modern cities slowly fading away to the endless grasslands, mountains, wilderness. Golden, mosque-like domes of Orthodox churches step-by-step giving way to actual mosques, Buddhist stupas, followed by vast forests visited by nomads. Eventually arriving in Vladivostok at the Pacific, from where it’s just a ferry ride to Japan. Or a 250 kilometre car ride to the North Korean border. This romantic image must catch anyone’s heart in one way or another. 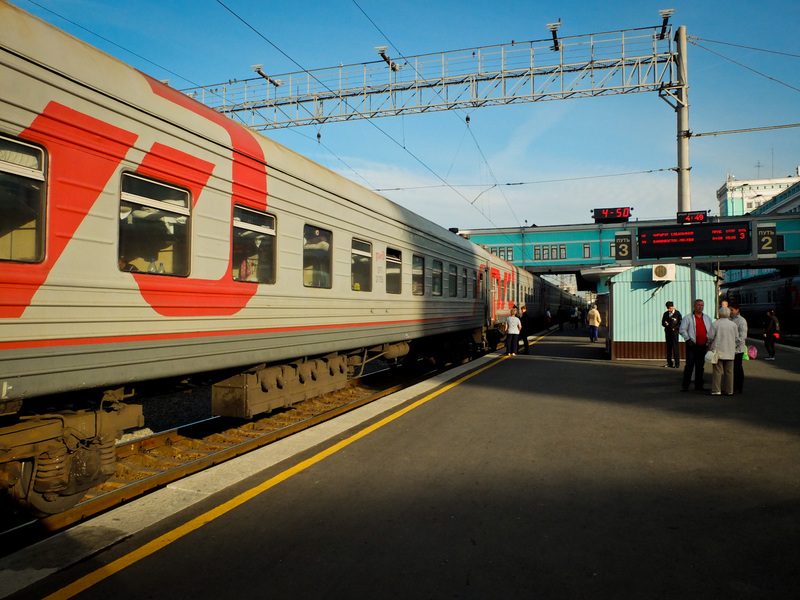 Who has never dreamt of travelling by the Trans-Siberian Railway? But how to do it? Novosibirsk. A Trans-Siberian train ready to depart! Sure you could go to a travel agent and let them organise the trip. But you’ll soon find that not only will you spend up to 3 thousand dollars on getting it organised but you’ll also spend the whole journey partying with fellow Europeans, Americans or Australians instead of actually getting to experience the reality of the train the way it is. Wanna do it differently? Let us tell you how to pay USD 160 for getting a Russian visa, buying the ticket and enjoying the magnificent journey the way locals do! 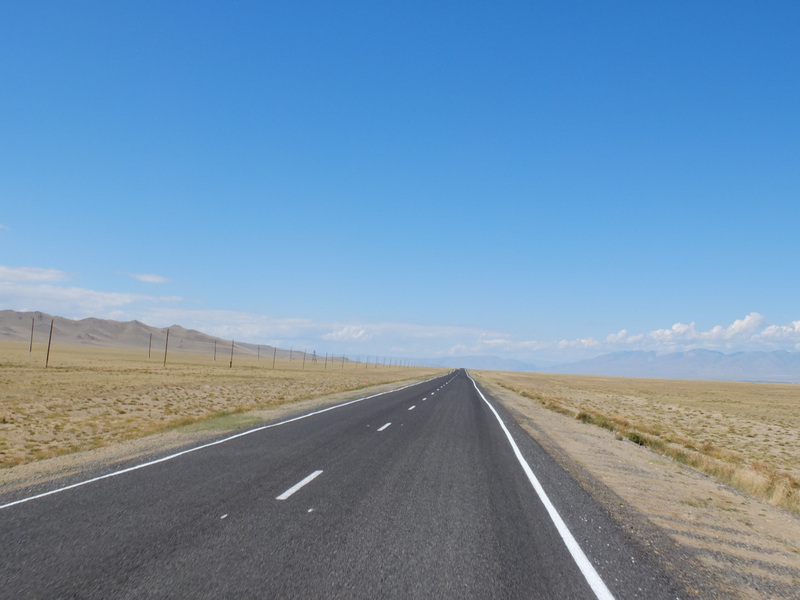 Having decided to go through the west of Mongolia instead of Ulaanbaatar, we didn’t really know what to expect – there was not much information online. Hence, we thought it could be very useful for future travellers coming this way to have some practical information available online. But don’t worry, if you’re not going that way, this post won’t bore you with dry facts – you’ll learn about the fascinating reality of Mongolia! Amazing landscapes, lack of roads, traditional life and smiling, hospitable people are some of the main reasons to leave your heart in Mongolia. 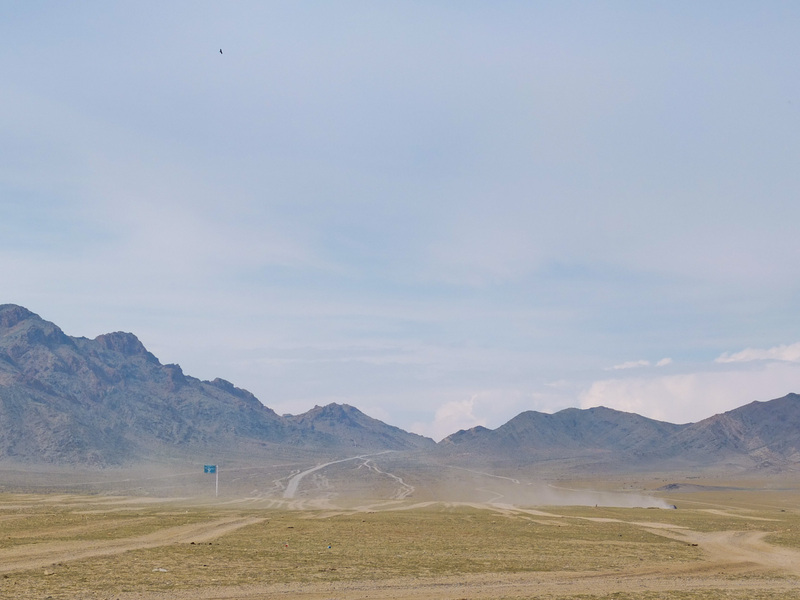 Here: the ‘road’ out of Khovd, the main town of Western Mongolia. The sun is getting lower in the sky. We’re standing on the roadside in a dry, treeless landscape, a wide valley bordered by rugged, rocky mountains. It looks like the snippets of footage from Afghanistan that I’ve seen on the news. The earth-brick houses are squares with flat roofs. The road signs are in Arabic. But this isn’t the middle east. 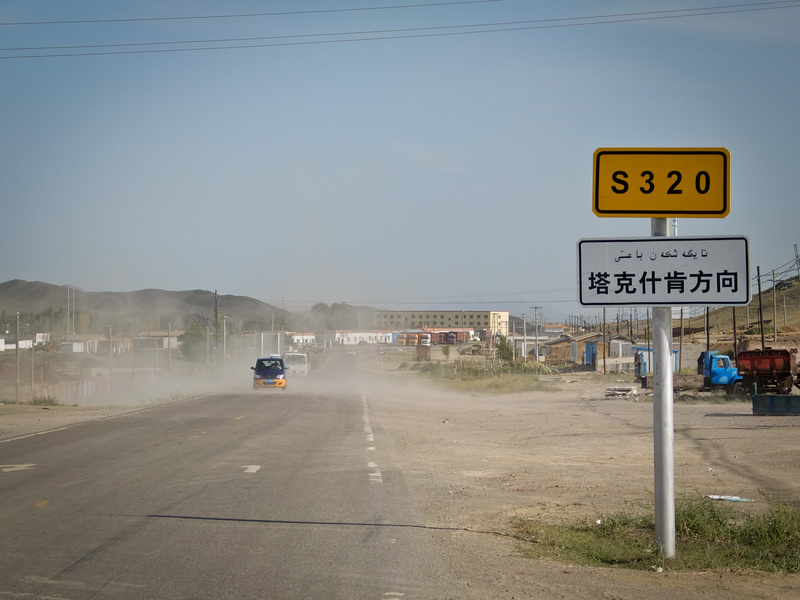 We’re in almost the most north-western corner of China, a region predominantly inhabited by Kazakh people, heading for the western border crossing into Mongolia. 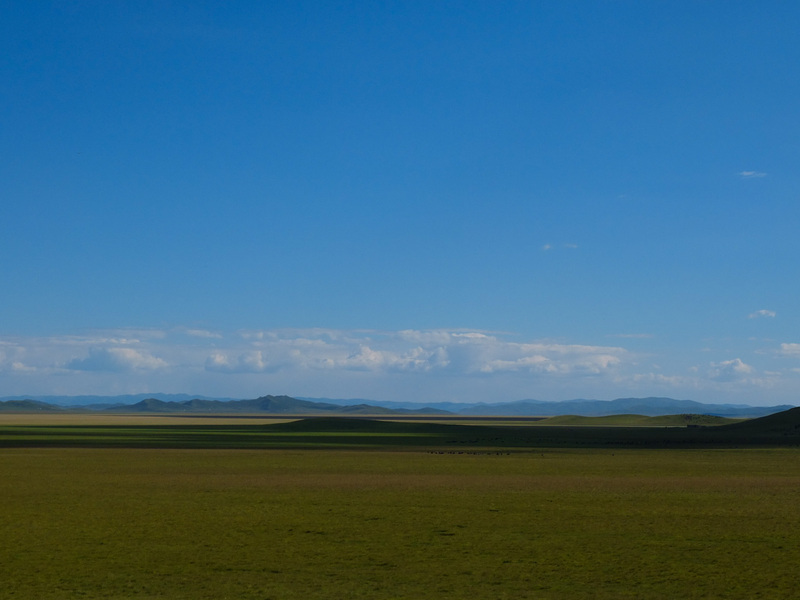 The Tibetan Plateau: Endless grass and boundless sky. China is often shrouded in stigmas and stereotypes. From the outside heading in, I had an idea of what I expected to see. However, we found China to be a massive and multifaceted place, full of surprises. Here, we’ve selected some images that might help shift your thinking or broaden your perspective of China 2015. 1. 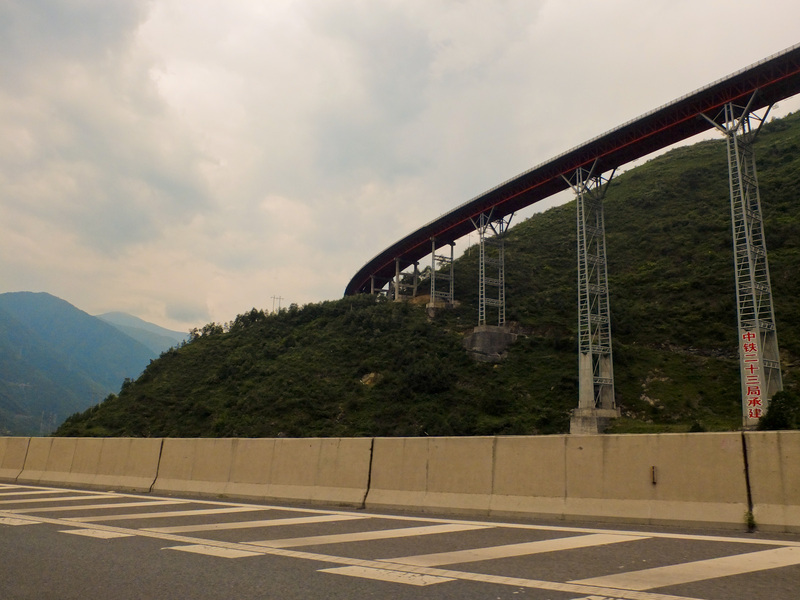 Highway, Yunnan Province: The roads in China are breathtaking works of engineering. Entering from Laos, where the road is so muddy our bus was often going up hills sideways to avoid bogging, the contrast was stark. In China, mountains and valleys are no obstacles: the road continues straight, tunnelling through the mountains and bridging over valleys, for kilometers, if that’s what it takes. The roadside reading “Continuous downgrade for next 54km” is probably not in existence anywhere else in the world. They have special emergency breaking areas for trucks when breakpads get too hot on the constantly angled declines. While tales from China and Mongolia are under construction (we’ve upped our travel pace in the last month! ), I’m breaking our usual chronological series to pass on the spirit of our current surroundings. I couldn’t wait to tell you about our first experiences in Russia. We have just entered the country from Western Mongolia into the Altai Republic in southern Siberia. A few facts about Russia that made me a little anxious about coming here: it went through the biggest organised genocide in human history; it hosts some of the most polluted places on the planet (and it has sucked dry an entire sea! ); it was involved in starting a war in Europe in 2014; its TV cites sersious spokesmen saying gay culture was invented by the West to control population growth; temperatures of -40ºC are annual here. The country’s currency fell so dramatically this year, almost overnight, that Russians living in Thailand started making jokes about renting out their places in Thailand to holiday in Moscow (the Ruble is in rubbles). In Russian language there are words expressing such grim misery that they don’t translate to English. I was apprehensive about what we would find in this country and how we might be received, as representatives of ‘The West’. Yet… It’s just amazing here! Turns out there was nothing to fear. In fact, quite the opposite. We’ve been blown away by Russia! And the beauty of the Altai Mountains, known by some as the most beautiful place on Earth, falls second to the generosity and hospitality of the people of Russia. Entering Russia from Mongolia, the landscape doesn’t really change. But an hour down the road a whole new world awaits!